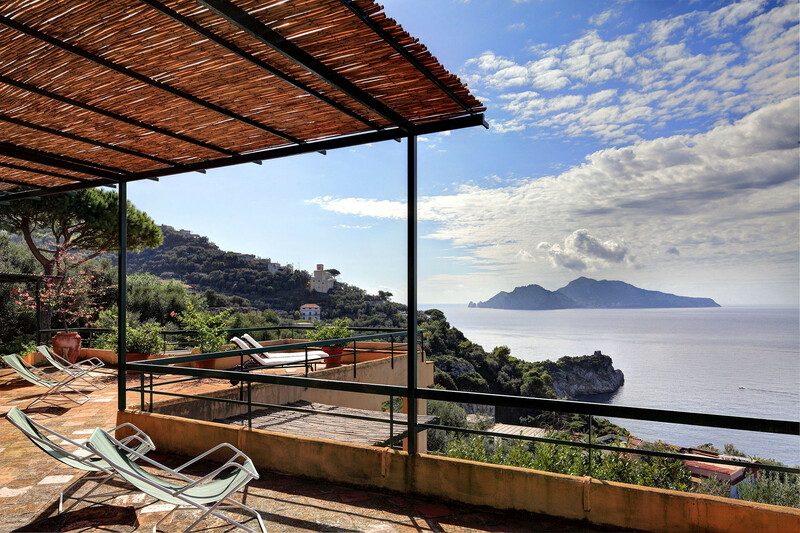 Villa Pisani is a stunning property, set midway on a hillside, with wonderful views over the Bay of Naples and the Island of Capri. 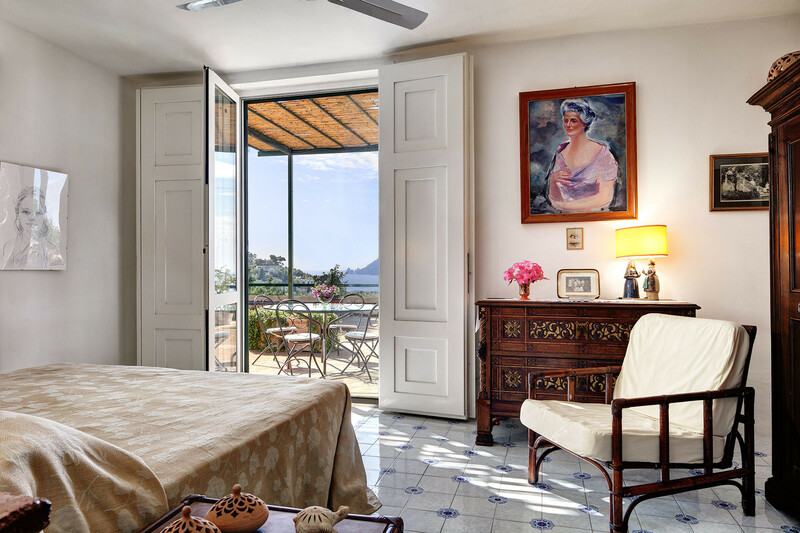 The villa is surrounded by two acres of olive and fruit trees, blending seamlessly into the Mediterranean countryside beyond. 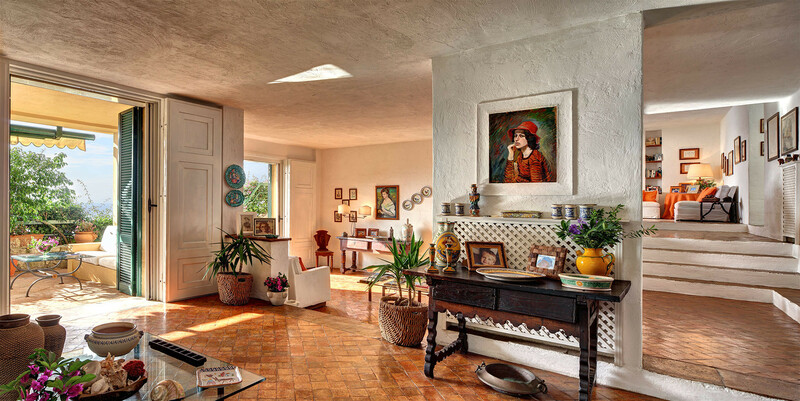 Just a short distance from the village of Massa Lubrense, Villa Pisani lies above the coastal road that continues to the end of the Peninsula. 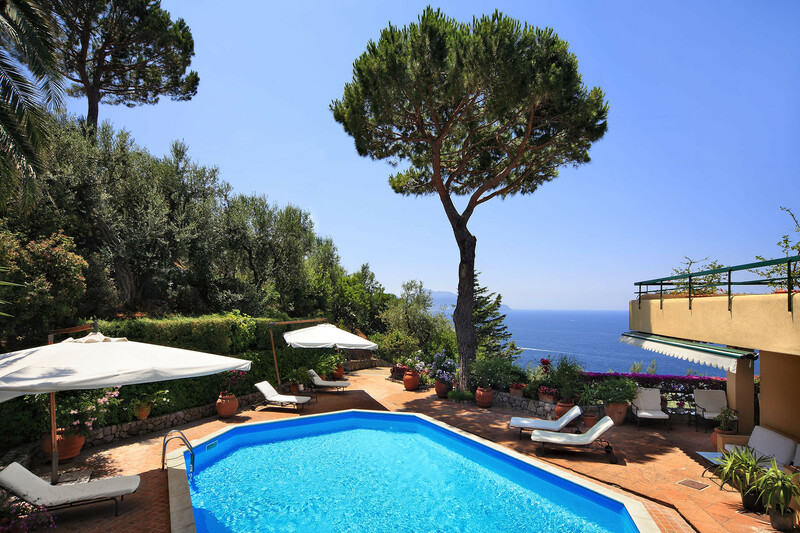 There are many highlights of the property, but perhaps the most impressive is the central terrace, with swimming pool. Measuring 10m by 5m, and 1.2-1.5m deep, the pool is open from May to October. Around the pool is plenty of space for sun beds and parasols. All furniture is elegant and of the highest quality. There is also a barbeque. 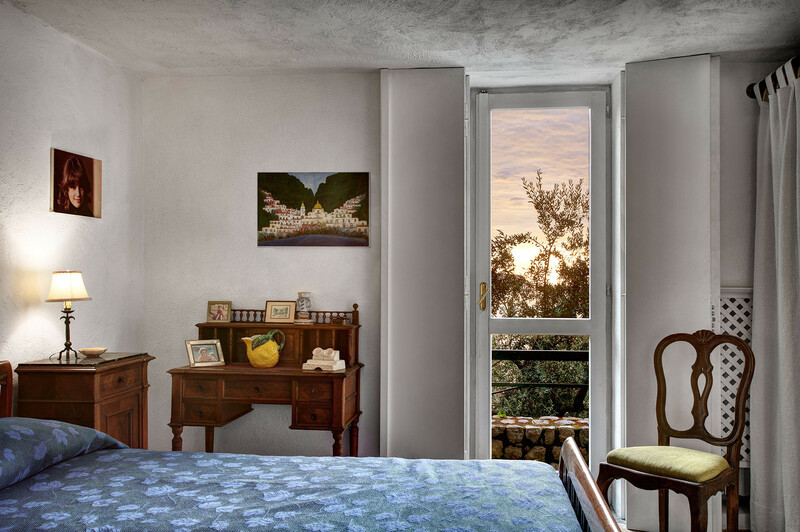 The view across to the ocean is beautiful, with the setting sun perfectly framed between the villa and the hillside. 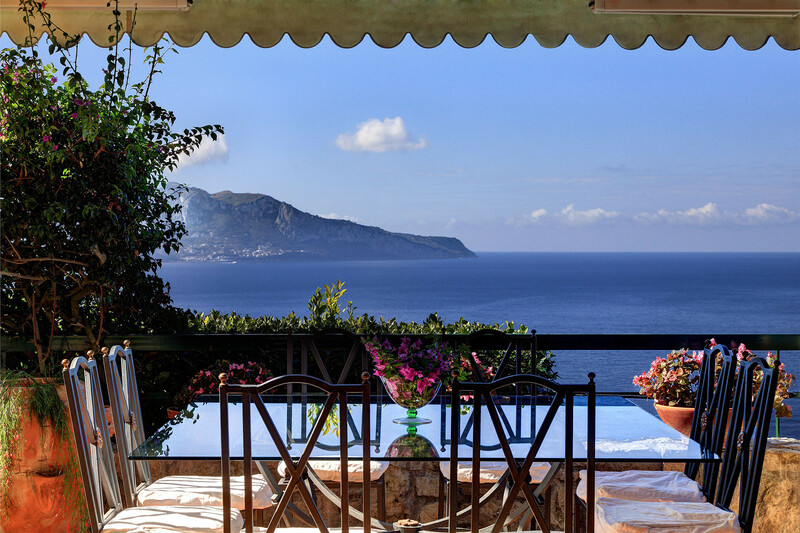 Where the villa faces the sea, there are also wonderful, expansive terraces, ensuring you can fully appreciate the panoramic views. 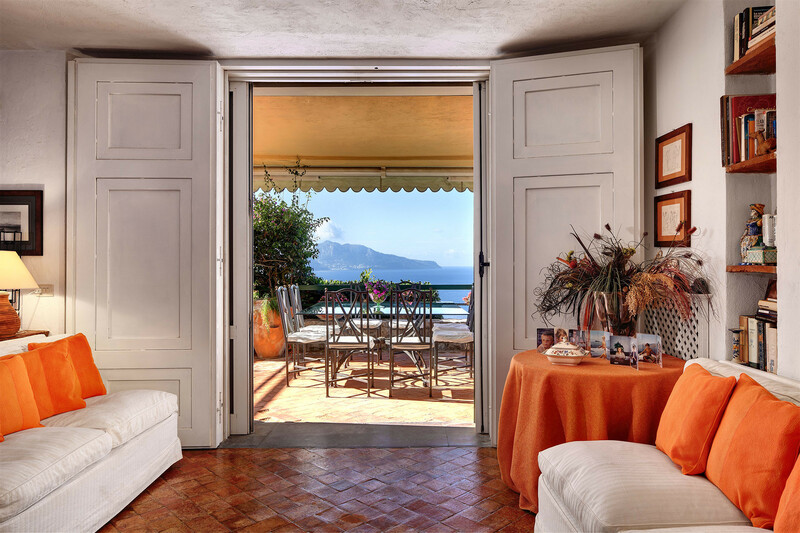 Numerous French doors lead outside from the living areas and bedrooms, giving you the opportunity to stroll into the fresh air whenever the mood takes you. 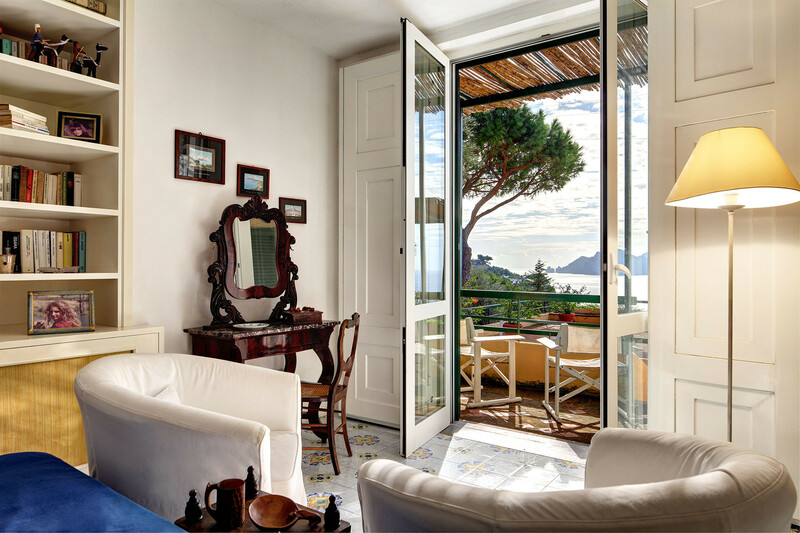 The terraces are equipped with ample sun beds, dining tables and chairs; including one with lovely views of Capri, to seat all twelve guests. You will always find the perfect place in which to relax. The villa is built on three levels. The open plan design within the spacious living areas provides a light and airy feel. 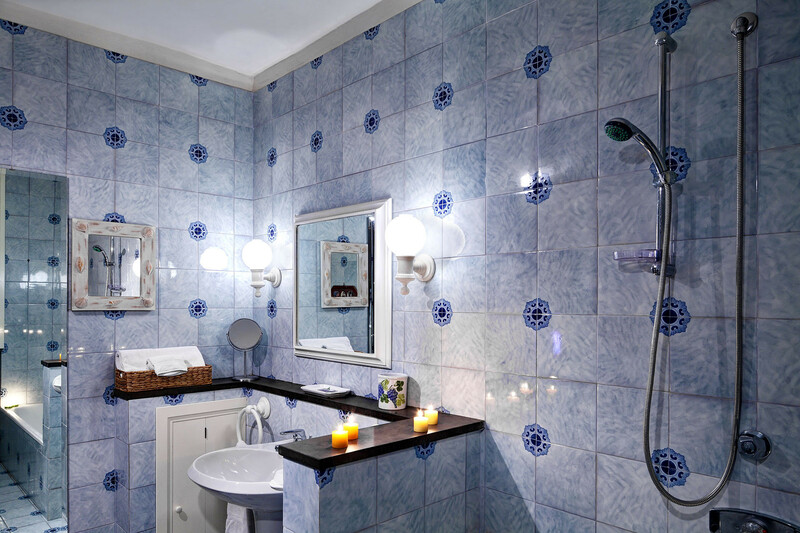 There has been a focus on achieving the highest standards of finish throughout, with all rooms perfectly maintained. 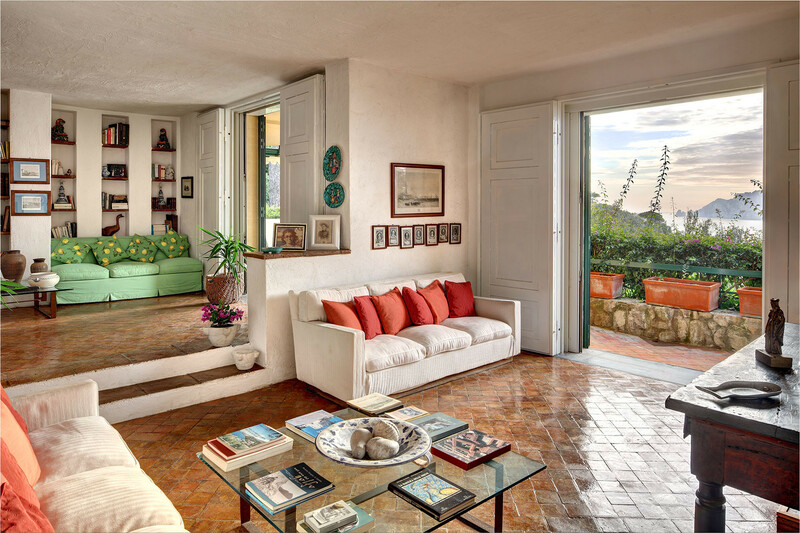 You will find plenty of inviting sofas set amongst interesting wooden furniture, including a beautiful Tuscan cupboard and a sideboard holding local pottery. 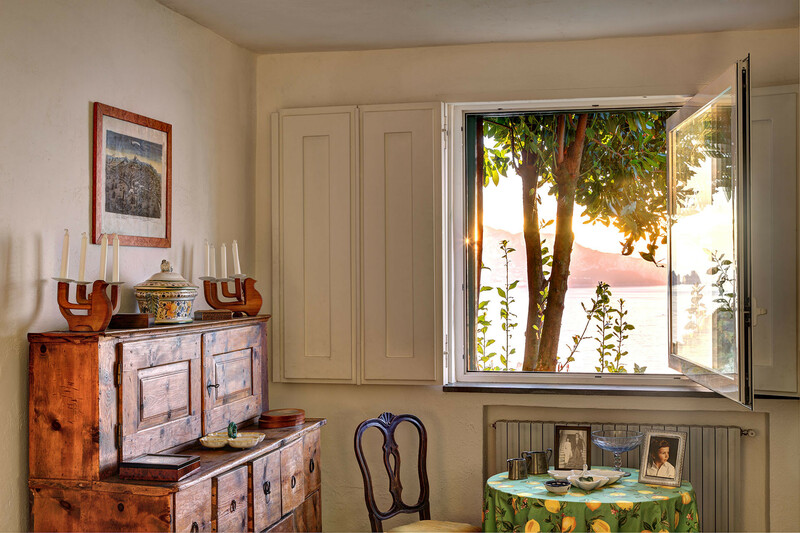 The walls are dotted with charming family photos, antique prints and well chosen paintings. 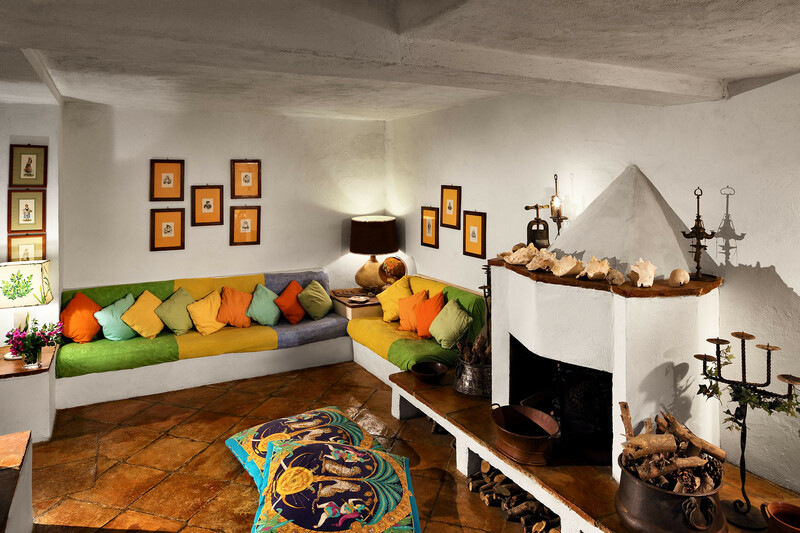 On a lower level there is a snug den, with cosy seats, floor cushions and a fireplace. 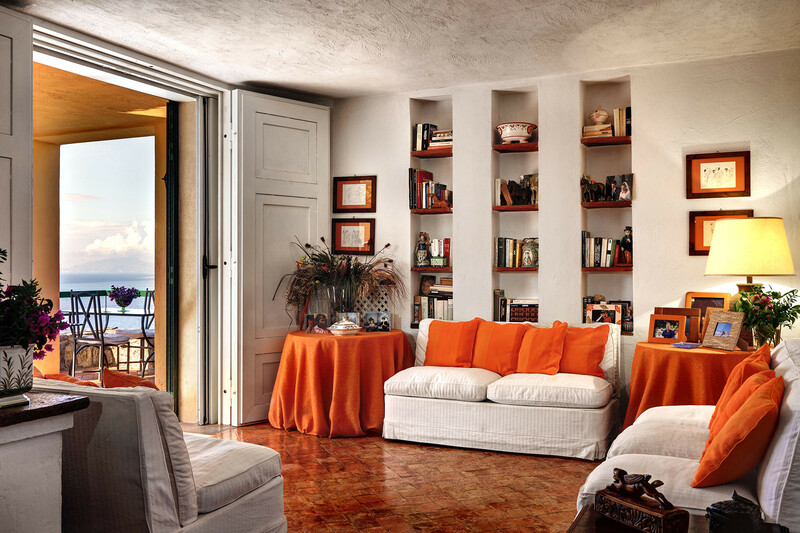 There is a living room with three sofas, in white with accents of orange, with a television and bookshelves lining the walls. There are also further seating areas, with sofas and attractive furnishings. Plenty of room for everyone to come together and chat, or simply to chill out in their own space. There is also an internet Wifi connection. The kitchen has access to the outdoor dining area. There is a large table with wonderful views, for easy al fresco catering using the delicious local produce. 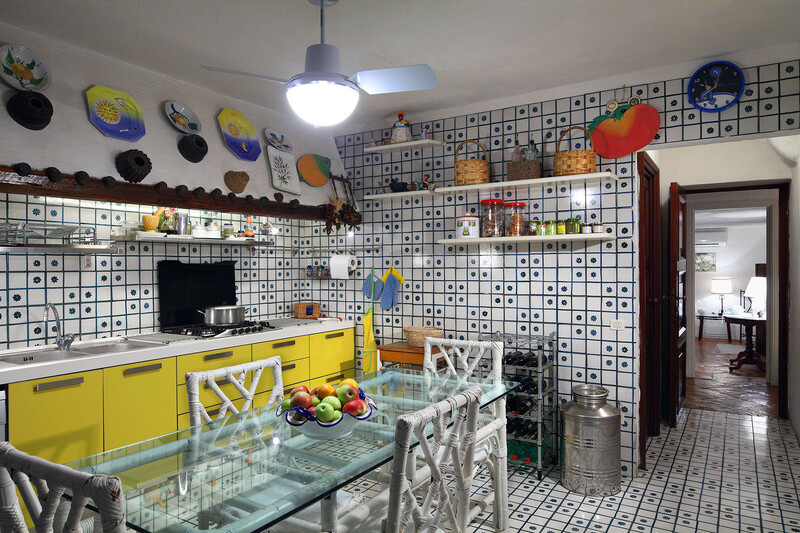 In a cheerful buttercup yellow, the kitchen is very spacious and perfectly equipped for entertaining large groups. There is a walk-in pantry, big refrigerators, a freezer, six ring gas hob, oven, microwave, dishwasher, kettle, toaster and coffee maker. You will also find a washing machine, ironing board and iron. The indoor dining room has a further large table. Meals can be prepared for you on request. 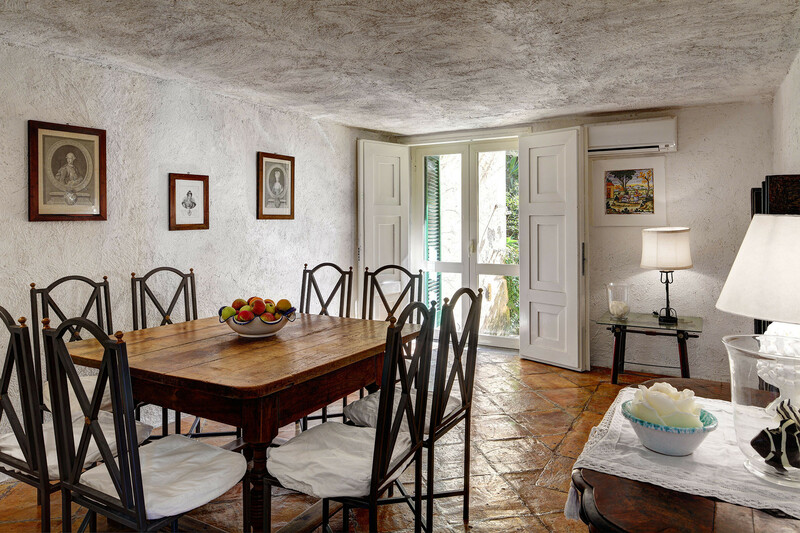 The living areas of the villa are equipped with air conditioning, and there is heating for the cooler months of the year, chargeable at 2.50 Euros per hour, according to usage. There are four bedrooms upstairs, plus two bedrooms downstairs on the lower level. All bedrooms have double beds, except for one twin room with two single beds on the upper level. The four upstairs bedrooms are equipped with air conditioning, ceiling fans and plenty of storage space, and have access to the large first floor terrace. Three of these bedrooms have en suite bathrooms and the fourth has a private bathroom on the hallway, just out the door.Each of the bathrooms has an enclosed shower, wash basin, toilet, bidet and hairdryer, with one also having a bath tub. 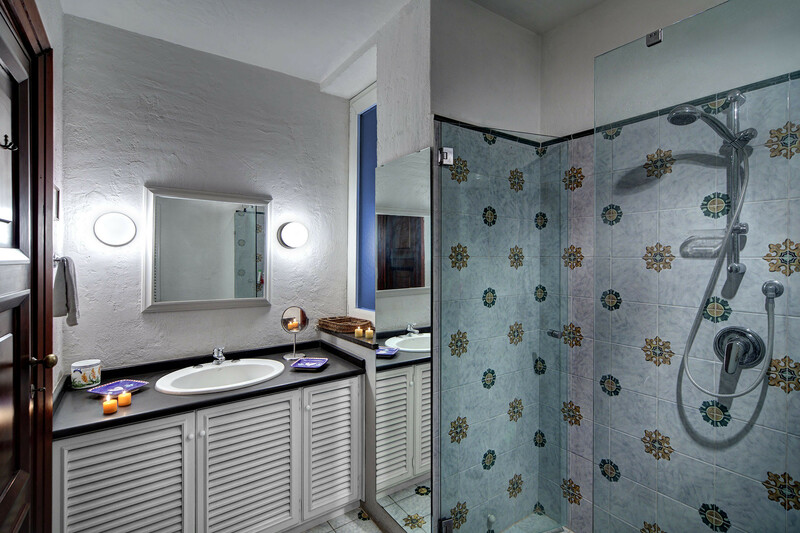 The downstairs fifth and sixth bedrooms have a private small terrace, plus air conditioning. Each has an en suite bathroom, with enclosed shower, wash basin, toilet, bidet and hairdryer. 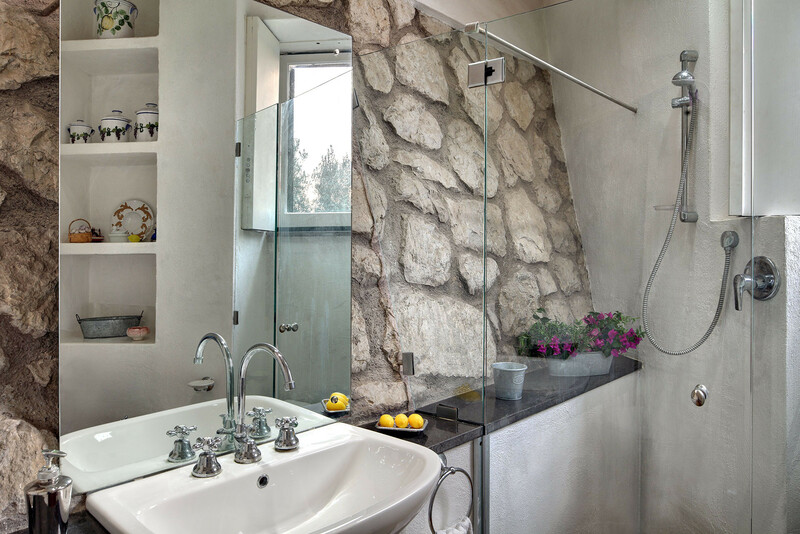 There is also an additional, sixth bathroom on this level, with the same furnishings. 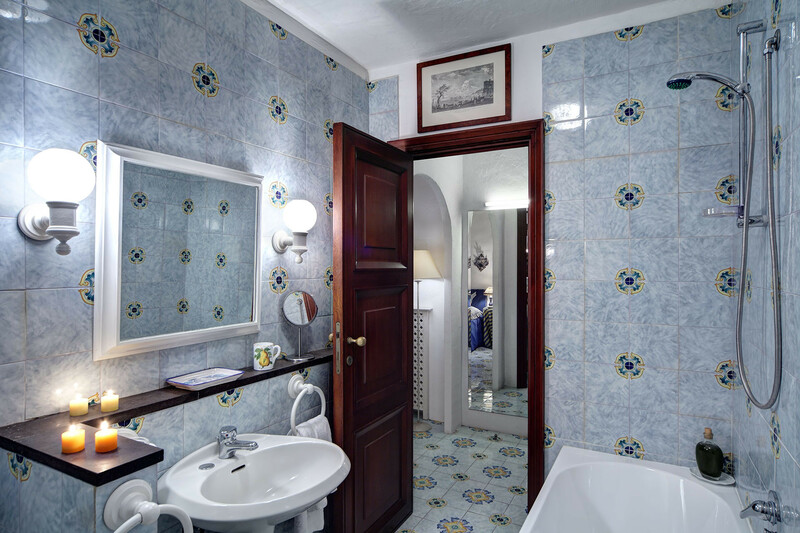 2 hours daily cleaning from Monday to Friday, included in the 400,00 euros cleaning fee. 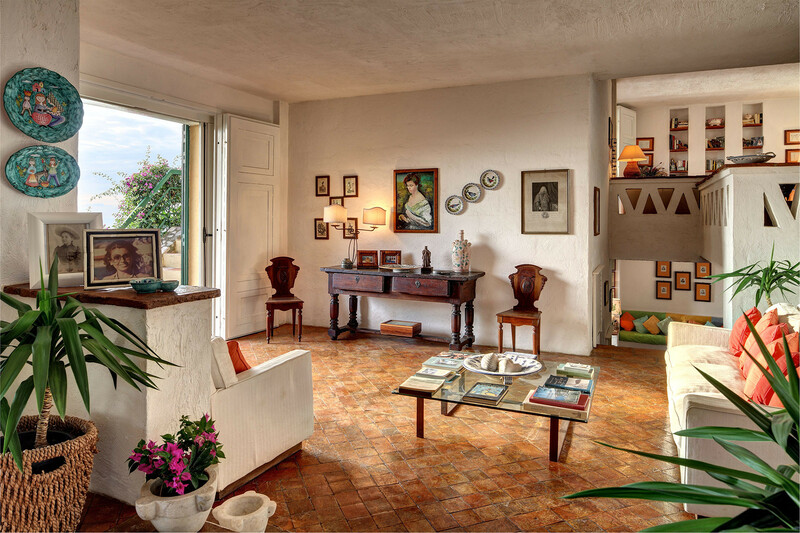 Please note that there is a refundable security deposit of € 500.00 payable on arrival at Villa Pisani. This can be the equivalent amount in $US or £GBP. The deposit will be refunded at the end of your stay, less the cost of any agreed additional charges, except in the event of damage. 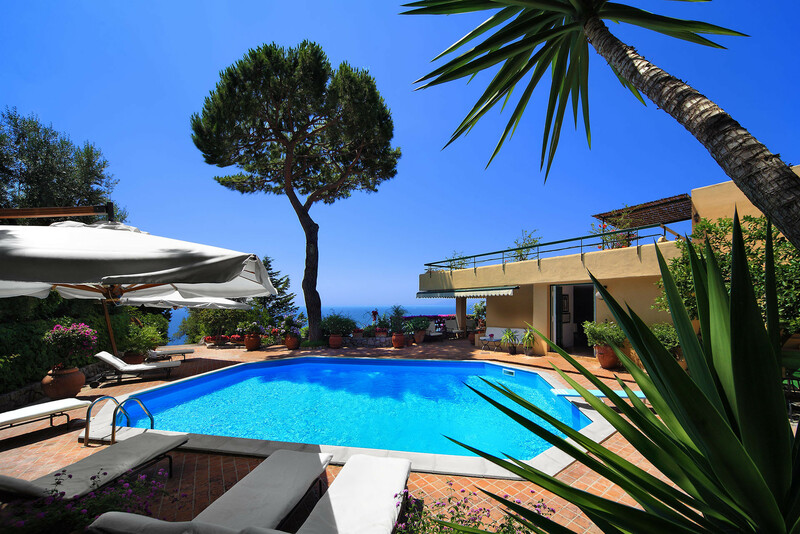 There is ample parking for four or five cars, just inside the entrance to the villa, a few steps from the pool area. The surrounding area has a great deal to offer. In the small fishing village of Marina della Lobra, one can hire a self-drive boat with cushioned decks for a day exploring inlets and bays that would otherwise be difficult to reach. 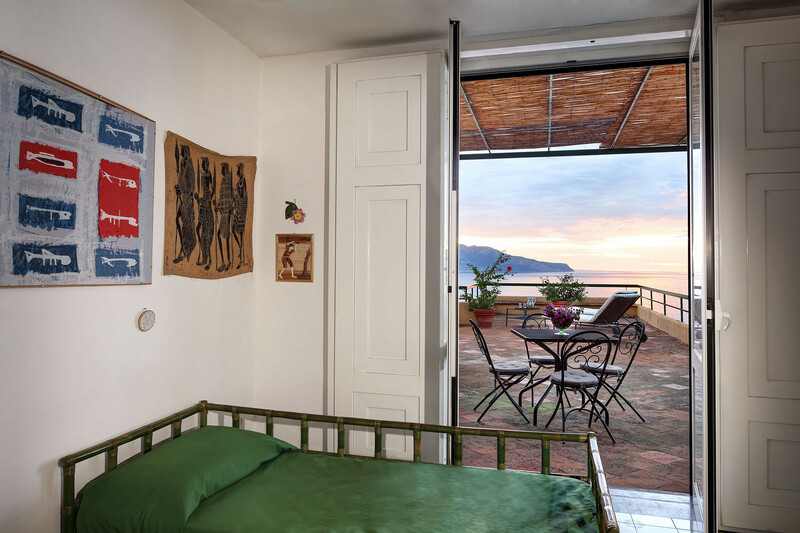 If you enjoy walking, Villa Pisani is a great base for exploring the Sorrentine Peninsula. There are many trails to appreciate the beauty of the natural environment, ranging from gentle strolls to more strenuous hikes. 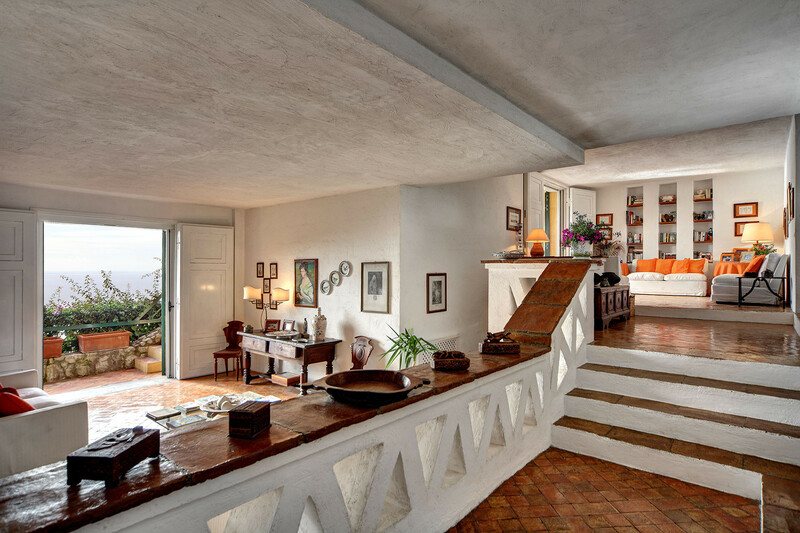 Villa Pisani truly is an exceptional property and a great choice for your holiday on the Sorrento Peninsula. TV Satellite, garden, garden furniture, terrace, barbecue, iron, internet (Wi-Fi), hair dryer, balcony, 300 m² property, 1,500 m² plot, central heating, air-conditioned, private swimming pool, Open-air parking (2 places) in the same building. 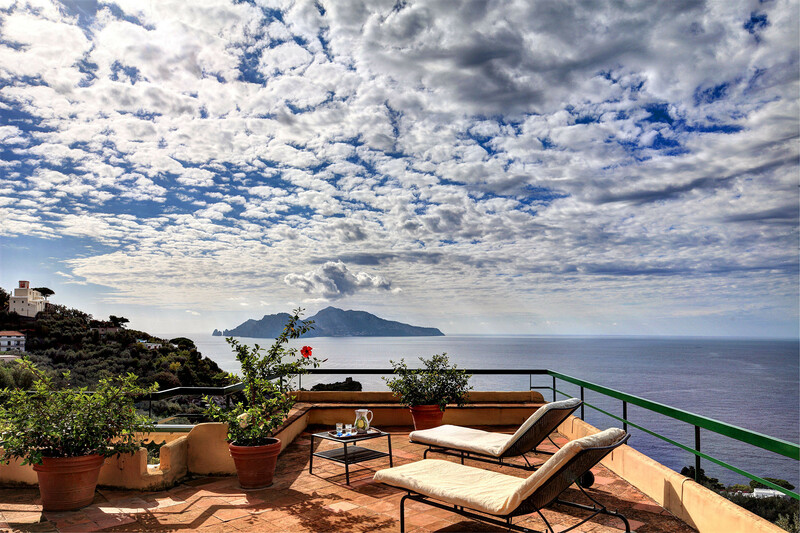 Stunning panoramic views towards Capri and Ischia set in a beautiful secluded location. 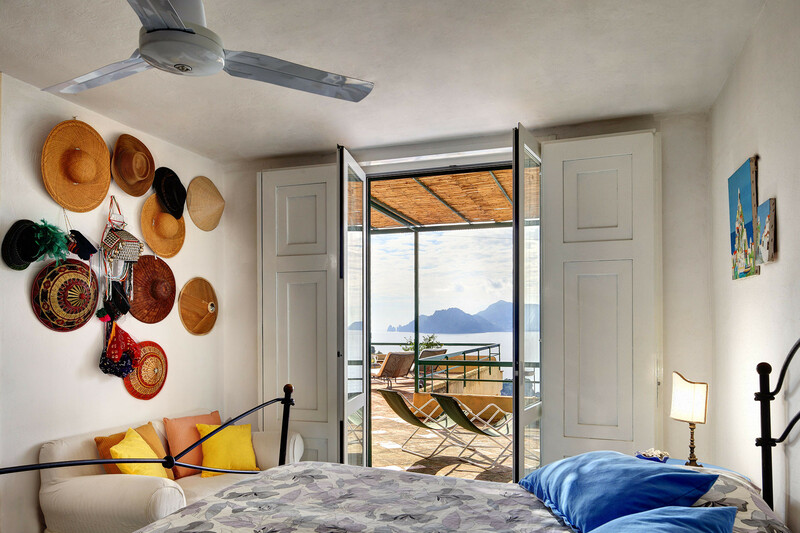 Every room has a spectacular view. We enjoyed incredible sunsets every night during our week in July. Stylish interiors with plenty of space for larger groups to enjoy while still offering numerous private / quiter spaces. Large pool with diving board was great for our kids. Carmine did a great job in arranging our trip to Capri - a highlight of our week. A memorable holiday retreat that we didn't want to leave at the end of the week. 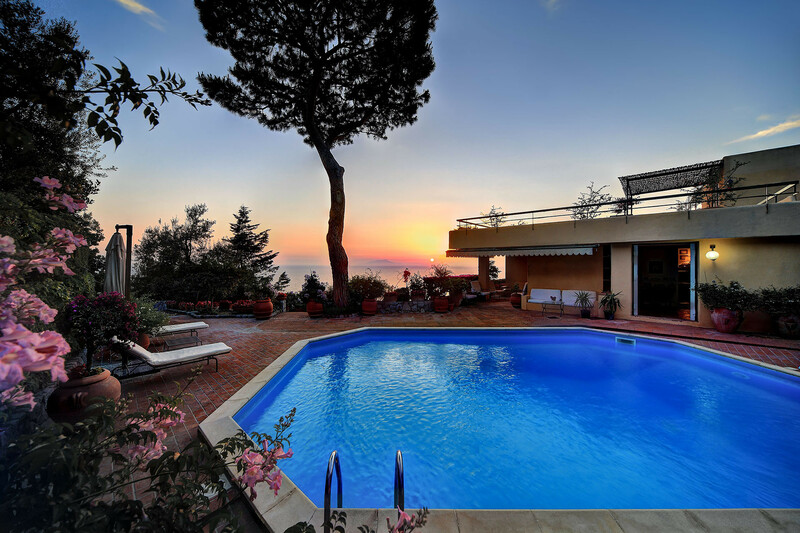 Fantastic villa within a 15-20 minute drive to downtown Sorrento. 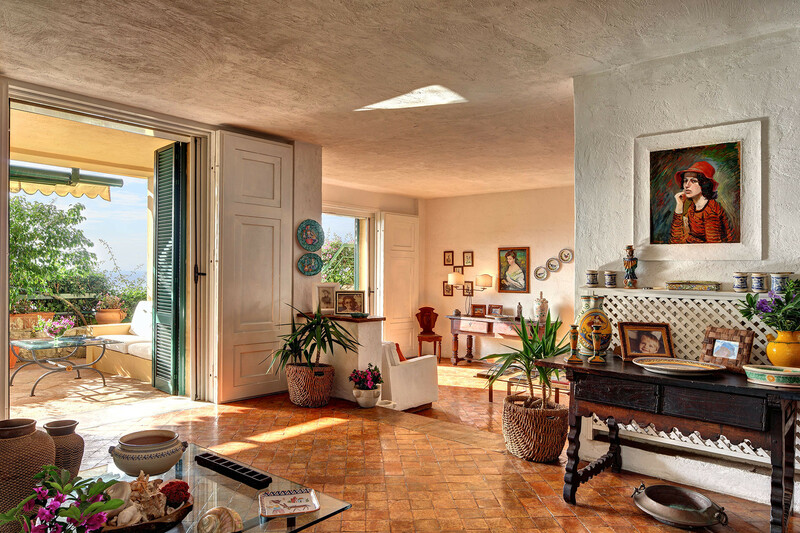 The villa is as seen in the picture and is extremely spacious with exceptional views. Would highly recommend and would book again. One note to travellers is that it is within a quieter part of town so would recommend having a car.